While in Burma | What moves you? While in Burma, we will likely not be accessing the What moves you? blog, but we look forward to sharing our experiences upon return to Thailand on the 15th of Feburary. 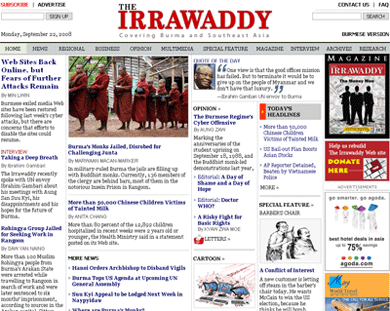 In the meantime, if you are interested in keeping up with current events and news about Burma, I can recommend visiting the Irrawaddy Online News Magazine. I stumbled upon your facebook page and followed the link here. So great to see you guys are traveling the world. Great to hear from you and thank you so much for the invitation to LA. We will definitely keep it in mind – we do have, what seems like a life time, to catch up on.